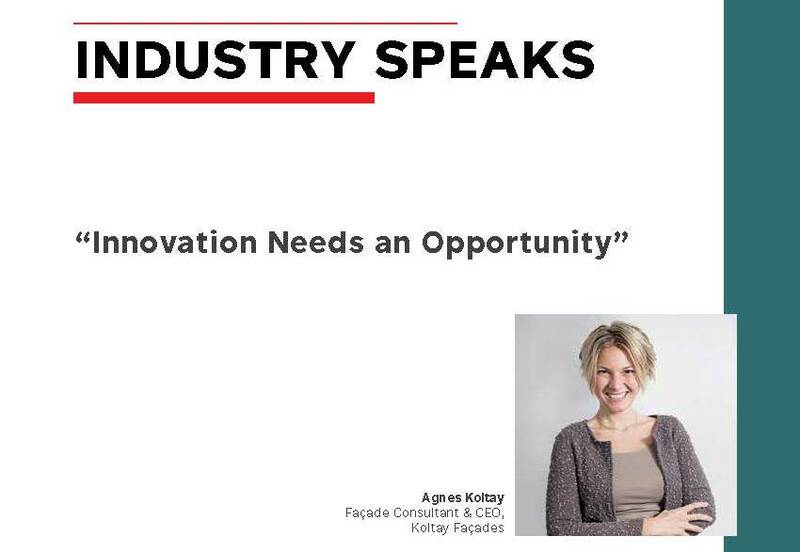 Agnes Koltay was recently published in the Window and Facade Magazine Middle East Jan-Feb 2019 sharing her views about the latest innovations in façade design. What are the changes you see in façade designing over the years? We have seen designs departing from strictly uniform, repetitive units towards unique shaped elements. We also have noticed a varied level awareness of the life cycle maintenance cost and value of reputation cost. Certain aspects cannot be rectified later, for example, the sound insulation properties of fixed glazed façades cannot be improved without replacing the glazing with thicker insulated glazing units. Other aspects may only be improved at a larger cost, for example rectifying careless installation of waterproofing. It is easier to get these things correct during construction than to deal with the potential ongoing maintenance and reputation loss later.